with LA Metro Chamber, UPLIFT LA, and Northeast Charter & Tour. 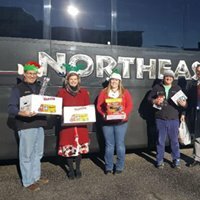 After our successful efforts in recent years, we are teaming up, once again, to brighten the holidays for local families in need. As always, our goal is to donate as many gifts as we have members, and every year our community has come through to help us exceed that goal. 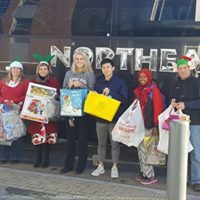 All donations received will be distributed by representatives of Advocates for Children, Boys & Girls Club, Central Maine YWCA, Promise Early Education, Safe Voices, Sandcastle Clinical And Educational Services, Tri County Mental Health Services, Trinity Jubilee Center, and Tedford Housing, and will stay within our community, assisting only local families. From now until December 14, donate NEW toys and clothing, appropriate for youths age 0-18. Where and when can you make your donation? 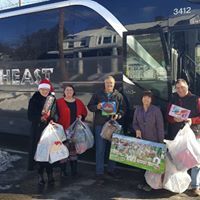 LA Metropolitan Chamber of Commerce, 415 Lisbon Street, Lewiston by December 14th. 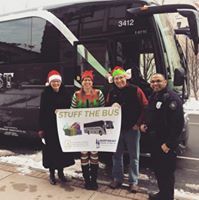 At a participating "bus stop" until Friday, December 14th- see the list below. 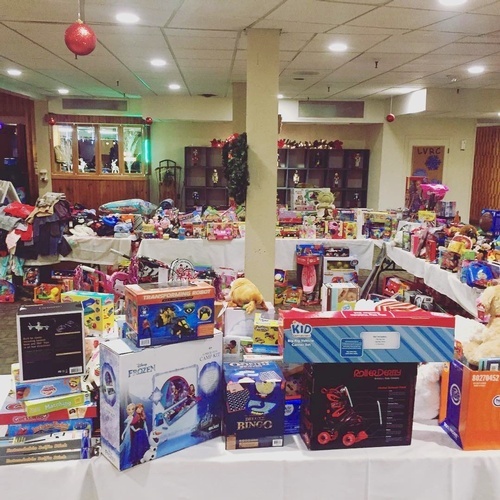 Bring gifts to the LA Metro Chamber Breakfast on Thursday, December 13th, at the Hilton Garden Inn Auburn Riverwatch. Bring gifts to Business After Hours at Lost Valley on Tuesday, December 18th.